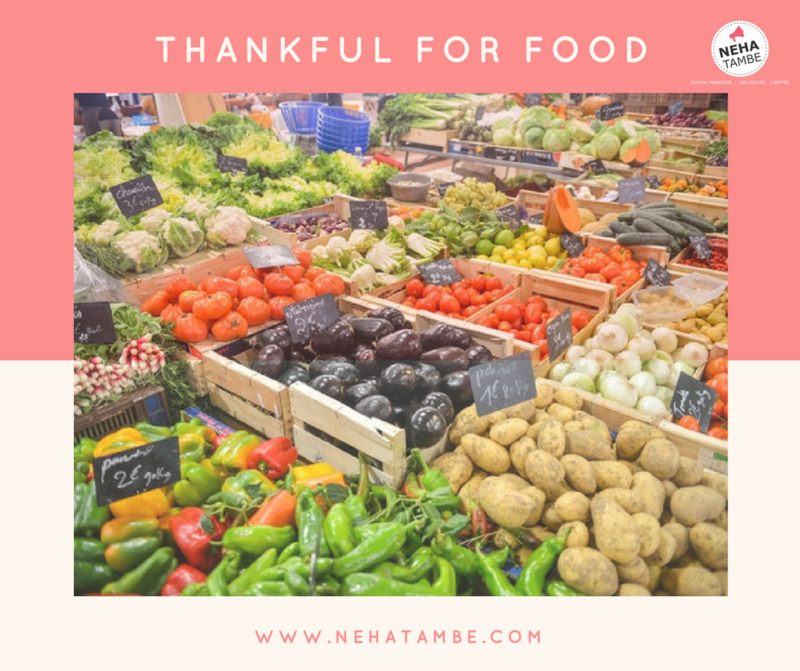 In my growing up years, one thing that my mom practiced and still continues to do so is be grateful for the food you eat by saying a small prayer at the end of the meal “Anna Daata Sukhi Bhava” meaning the one who gave me food be blessed and content! As I grew up I started understanding the complete meaning of this simple sentence and realized the importance of it.When I end my meal with a thought of gratitude, I can never waste it. I will always be mindful of the effort that goes into bringing it on my plate. I am blessing so many people with that single sentence! Right from the farmers, to the person cooking the meal for me. When you realize the big chain of people and the effort that goes into making a single meal, will you ever be able to call names to it or waste it? Right from my childhood, my mom made sure that we knew the importance of food. There was no wasting food and there was no ‘I hate this food’ Her logic was simple – You need food to live! Without food, you are nothing, so you cannot hate it or waste it. I follow the same principal at my home. My children need to try everything that is served. They could take a teaspoon full of it and if they don’t like it, need not take the next helping of it, but out rightly rejecting something based on its looks or taking heaps of food just to throw it in the dustbin is not allowed. 2. Enforce the take small helpings rule in the house. 3. Avoid force-feeding your child or guests in the name of hospitality. Wasted food and upset stomach don’t really mean great hospitality. 4. Talk to them about the food shortage that the world is facing and how climate change is affecting farmers. Make them realize the efforts that go into bringing that produce in your house. 5. Most children have climate change in their syllabus. Connect how wasting food is adding to carbon footprint. 6. Take them to the mandi’s, grocery stores and even fields if possible to help them understand the chain of people involved and the humongous effort that goes into it. 7. Educate them about the amount of work you and other family members put in to buy and make that food. This is exactly what I teach my kids too. I agree that forcfully feeding a child is of no good. My son is a fussy eater or rather a desi eater. He only like paranthi and I respect that try to make him different kinds of paranthi everyday. Annadata really needs tp be “Sukhi bhava”, these days Neha. Going by the current trend of suicides by farmers, one day may crop up in future when there will be none to till the land! Loved your tips as well Neha. I agree Anagha! The whole respect for farmers work seems to be lost. People easily forget that no farmer means no food and being grateful to him and showing respect for his work is important.